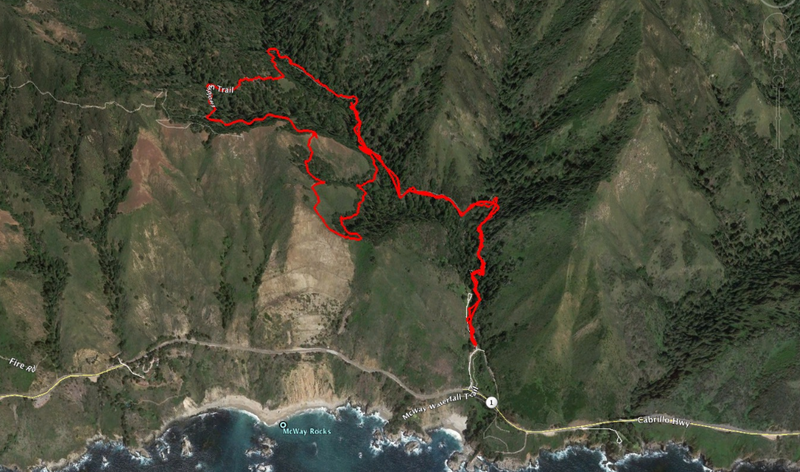 Using data from Runkeeper on my iPhone, I generated the following Google Map and views in Google Earth of our hike on Saturday in the Julia Pfeiffer Burns State Park. We hiked 4.6 miles in about 2 1/2 hours. There were some amazing views of the coast and the ocean. 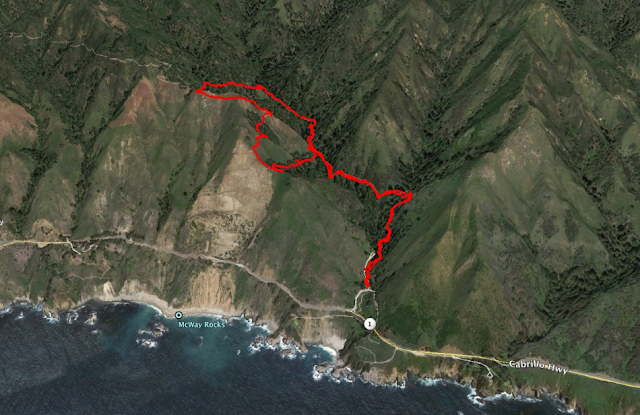 I recommend doing the Ewoldsen Loop Trail in a counter clock-wise direction.